Back in 2008, when the mortgage-backed securities hit the fan, there was a monstrous public outcry for banker bonuses to be scaled back. Banks kicked and screamed, fighting hard against it, but in the end acquiesced and scaled bonuses back. Or sort of scaled them back. What they agreed to do, instead of giving senior bankers mountains of cash at the end of the year, was give them mountains of stock. This was a way to show that banks and bankers weren't just in it for the short-term gains, but instead had an interest in how their firms performed over the long term. Or, at least, over a three-year period; the bonuses paid in shares could not be sold immediately, and so to maximize your bonus, your firm's share price would have to rise over a few-year period, when you could then sell. At first, bankers hated this. They wanted cash. They didn't want to wait to get paid. But as it turns out, it worked very well for bankers. Very well because the market was booming: the S&P rose more than 135 percent from 2009 to mid-2015. This meant if you were on the receiving end of a stock bonus in 2009 to 2012, you likely killed it if you cashed out in 2015. However, since mid-2015, the market has been in the two-piece Toto: the S&P is down 10 percent. Which means bonuses have been hit hard. Which means it's not looking so attractive to be a banker anymore. Or so some believe. The decrease is providing the first pocketbook test of the new bonus practices banks established in the wake of the 2008 financial crisis. "It's a big deal," said Alan Johnson, managing director of pay consultant Johnson Associates. " The business is down, the market is down, the stock is down. It couldn't come at a worse time." 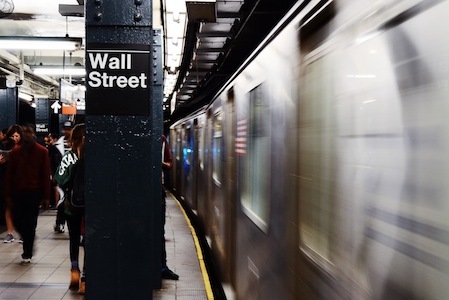 If the recent bank-share slump persists, technology firms and other industries may find it easier to recruit bankers away from an industry already battered by its status as a political piñata. Fewer bankers today are saying, " 'Oh, I could never leave here, look how much money I'd be leaving on the table,' " said Stacy Stevens, president of recruiting firm Park Avenue Group. The decline may prompt some bankers to "do a little comparison shopping." 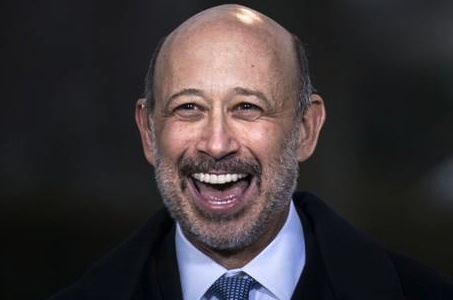 As for just how much bonuses have dropped, according to the Wall Street Journal, "The value of bonus shares granted in early 2014 by J.P. Morgan, Citigroup, Bank of America, Goldman Sachs and Morgan Stanley has declined by about $1.34 billion since the initial pay date." In other words, they've dropped a lot. So, will bankers begin to look to the tech industry for jobs? Perhaps. But unless they have some very specific experience that will translate into a tech job, it won't be so easy. In 2014, Twitter poached a Goldman Sachs managing director to be its CFO. But that banker came from Goldman's technology banking group. Late last year, a few more bankers also left Goldman, this time to join Uber, in anticipation of the ride-sharing service's forthcoming IPO (which might be forthcoming further out in the future than initially expected due to the poor market). These bankers also came from Goldman's tech banking group. 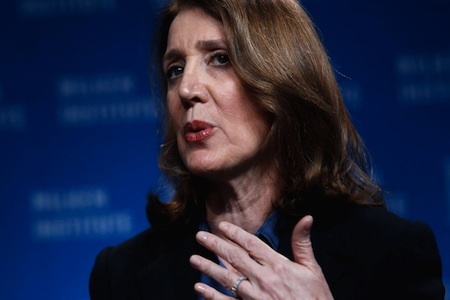 And last year, in an even bigger move, the most powerful woman on Wall Street, Ruth Porat, left Morgan Stanley as its CFO to join Google (now officially Alphabet, I think) as its new CFO. Morgan Stanley, right up there with Goldman when it comes to prestige, is perhaps even better known than Goldman for its work in the tech sector, having led IPOs for several top tech firms, including Facebook. A few similar moves from Wall Street to Silicon Valley are sure to follow (especially when big tech firms begin to think about accessing the public markets), but the real problem Wall Street banks face has to do with the message the next generation of their employees/leaders are getting. Already, top undergraduate and MBA students are increasingly looking to Silicon Valley as opposed to Wall Street to begin their careers. When a monster end-of-year bonus, historically Wall Street banks' biggest selling point, is no longer a given, then technology companies and tech careers become even more attractive. Of course, banks understand this, and have begun to offer other selling points, including a fast-track-to-VP program. Last year, Goldman Sachs unveiled Wall Street's first such program, and now others such as Credit Suisse and Citi are following. Credit Suisse will review its analyst class of 2014 around May or June this year, before launching the fast-track programme in July, one of the sources said. It will also broaden its mobility programme, currently generally available to more senior bankers, to allow more junior staff more options to move around and gain different experiences within the investment banking and capital markets business, the source said. If markets keep tanking, and if enough people Feel the Bern, perhaps it won't be long until top Wall Street banks, like some top Silicon Valley firms, also have their own on-site bowling alleys and rooftop farms. 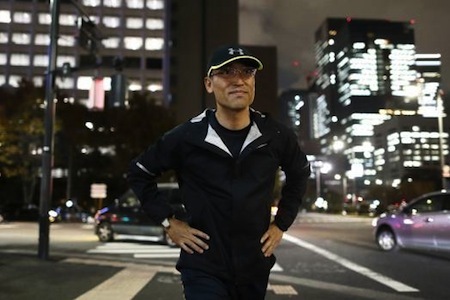 Finally, it should be pointed out that, if you work in investment banking and are experiencing more than a little disappointment with your most recent bonus, you should not forget that careers, like financial markets, are often marathons, not sprints. The markets will come back. Share prices and thus bonuses will rise again. And, who knows, if you hold on and keep progressing, you might one day be able to figure out how to set up your own hedge fund and earn enough money to buy a Jackson Pollock or two.